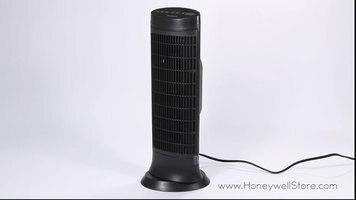 The Honeywell HCE322V ceramic compact tower heater is an increasingly easy-to-access portable heater that features an abundance of user friendly additions. Digital controls and a large LCD display allows for seamless navigation and a hassle-free approach to adjusting and modifying your units heat output. The inclusion of a programmable thermostat and the ability to shuffle between multiple heat settings and hour time settings allow for a customizable experience. A permanent dust filter and the capacity to oscillate heat into wide areas of space make this unit an excellent addition for medium to large sized rooms. Additions such as an auto-off and tip-over switch, cool touch housing, and over heat protection all solidify peace of mind. The HCE322V comes with a three year limited warranty. 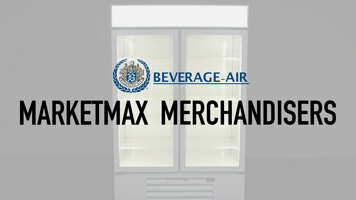 Discover why Beverage-Air MarketMax mechandisers are perfect for displaying refrigerated or frozen products in your business. MarketMax merchandisers are brimming with features that make it an excellent addition to any foodservice establishment. Building the security cage for your Regency shelving unit is easier than ever thanks to this tutorial! 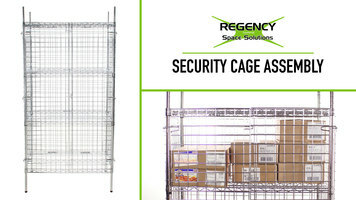 Watch for step-by-step instructions on how to correctly install your security cage.